The mission of the Roland Hayes Museum is to honor the life and perpetuate the musical artistry of Roland Hayes. The mission of the Roland Hayes Museum, a division of the Calhoun Gordon Arts Council is to honor the life and perpetuate the musical artistry of Roland Hayes. Roland Hayes was born in Curryville, near Calhoun, in Gordon County, on June 3, 1887, to Fanny and William Hayes, former slaves. After his father died when Hayes was eleven, his mother moved the family to Chattanooga, Tennessee. Hayes, a tenor, grew up singing African American spirituals that had been passed down for generations. In Chattanooga he sang in church and on the street for pennies. Eventually able to enroll at Fisk University in Nashville, Tennessee, he joined the famous Fisk Jubilee Singers. A Jubilee Singers’ tour to Boston, Massachusetts, changed his life. Determined to have a career on the concert stage, Hayes stayed in Boston, where he realized his dream. 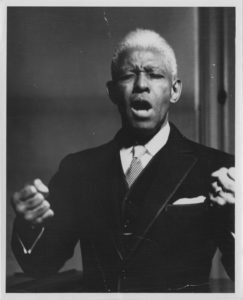 During his singing career, the popular Hayes was invited to perform at Carnegie Hall in New York, Symphony Hall in Boston, and other great concert houses. While Hayes was on tour in London, England, he gave a command performance for King George and Queen Mary. He toured Europe several times, singing in seven different languages; by the late 1920s he had become the highest-paid tenor in the world. His concerts always included spirituals, which Hayes called Aframerican religious folk music. Like his predecessor Harry Burleigh, Hayes transcribed and arranged the spirituals for orchestral accompaniment. 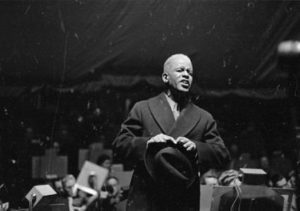 He made a number of recordings of classical music and spirituals and, as early as 1924, performed at least one concert before a desegregated audience in Atlanta. With his wife, Helen A. Mann, and their daughter, Afrika, Hayes maintained residences in Brookline, Massachusetts, and Curryville, Georgia, where they owned the 600-acre farm where Hayes had been born. After an unfortunate racial incident in Rome, Georgia, in July 1942, Hayes and his family left Georgia. 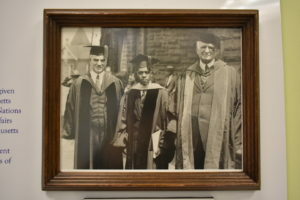 In his later years Hayes was a mentor to young musicians, taught at Boston University, and received many honorary degrees and awards. He died on January 1, 1977, in Boston and is buried at Mount Hope Cemetery in Dorchester, Massachusetts. The Georgia Music Hall of Fame inducted Hayes posthumously in 1991. The Georgia Department of Natural Resources in 1995 honored Hayes with an official historic marker, placed in Roland Hayes Park in Calhoun. State Highway 156 West in Calhoun is named the Roland Hayes Parkway. Dedicated to the memory of this Gordon County native who became a renowned concert singer, the Roland Hayes Museum began in 2000 as a modest display in a second-floor multipurpose room in Phase I of the Harris Arts Center. When a former dance studio became available, the Roland Hayes Museum Committee was able to move the museum into first-floor space and to add material from a traveling exhibit developed by the Detroit Public Library. 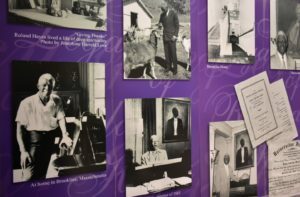 With the help of a grant from the Georgia Humanities Council, volunteers from the Calhoun Gordon Arts Council and a professional curator created the permanent exhibit now on display. The panels from the traveling exhibit are interspersed with photographs and other original materials from Gordon County, including correspondence, 78 rpm sound recordings, sheet music, concert programs, and books. 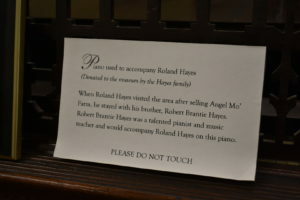 A notable addition is a grand piano, contributed by members of the Hayes family, which Roland Hayes used for practice when he visited relatives in Curryville. A small conference room houses more Roland Hayes material. Shortly after the museum opened, an acoustical engineer wired it for sound, enabling recordings of the beautiful voice of Roland Hayes to be heard upon demand. The Arts Council and the Roland Hayes Museum Committee formally opened the expanded museum in 2004.